With so many new casinos popping up online to tempt you, making the decision as to which one to sign-up with is a virtual minefield. Cashmio Casino could be the choice for you. It is great fun, perfectly functional and reassuringly secure. It also has a very appealing welcome bonus of up to $/€100 free, as well as 100 free spins. This offer does not apply to all countries, so check the details first. Popular amongst critics, Cashmio Casino has a very welcoming layout and looks feels and operates well across mobiles, tablets and desktops. If you have an internet connection and a little time on your hands, you’re good to go. It has an unusually quirky feel with animated characters helping you along and adding to the fun and entertainment. If you are looking to put a smile on your face, win or lose, this is the casino for you. There are games for everyone, across all genders and legal ages. And to add to the fun and entertainment, you have the cute little minion-like characters called Cashmios to help you have a great time. Sign-up is easy and painless and, once you are in, a good place to start will be the favourites section, where you’ll find an assortment of games, including the most popular slots. Amongst the collection, you’ll find popular games like Wild Wild West, Warlords, Jack and the Beanstalk, and Hong Kong Tower. Everything is simply packaged and easy to navigate. After all, nobody needs or wants to spend hours learning how to find their way around. We just want to get on with playing the games. 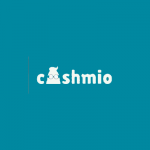 Cashmio’s available games include a range sourced from the major providers, including Quickspin, Elk Studios, Thunderkick, WMS (Williams Interactive), Betsoft, NetEnt, Genesis Gaming, Microgaming, Red Tiger Gaming, Evolution Gaming, Play’n GO, Cryptologic (WagerLogic), and Bally. Most casinos can only boast of having half the number of game providers that Cashmio has. So, you can be sure of getting the best experience, from the best in the business. Cashmio Casino comes out of the renowned and respected MT Secure Trade’s stable and was licensed in August 2015. MT Secure Trade, which itself was licensed back in 2015, is known for such websites as Casinopop, Casinoland and Dunder. And for the more traditionalists, Cashmio Casino has a range of the more classic Vegas games, including Black Jack and Roulette. So, there really is something for everyone. Before you make your first deposit Cashmio will give you 20 free spins to have a flutter and enjoy its platform. All you need to do to receive your spins is to create your casino account. This offer is not open to all countries, so check if you are eligible by reading the T&Cs first. When you make your first deposit (the minimum is $/€20), the casino will match it 100%, to give you a bonus of up to $/€100. You will also receive 100 Free Spins on Spinions, unless you’re in Germany. German players receive their spins on Book of the Dead. For some countries, the maximum bonus is $/€50, with 50 Free Spins, so check the details carefully. There is a weekly competition for account holders, which is called Tuesday Treats. Each week, account holders can spin and hopefully win, as many times as they can, before a set period of time expires, giving them the opportunity to become the Champion of the Week, earning rewards. All casino bonuses need to be wagered a minimum of 25 (twenty-five) times within 14 days before 1he funds can be withdrawn, except the “daily missions” rewards, where wagering is 45x if nothing else is stated. The initial deposit related to bonus needs to be wagered at least 25 (twenty-five) times within 14 days before withdrawal. With spin bonuses without a cash bonus, the initial deposit needs to be wagered 5x. Game winnings from “free spin” or “bonus” feature initiated with bonus funds, but completed after the bonus has been wagered, lost or forfeited will be removed. The use of bonus funds purely to progress through the bonus stages of games such as, but not limited to, Scrooge, Devil’s Delight, Champion of the Track, Castle Builder and Robin Hood can result in the winnings from the final bonus round being voided. 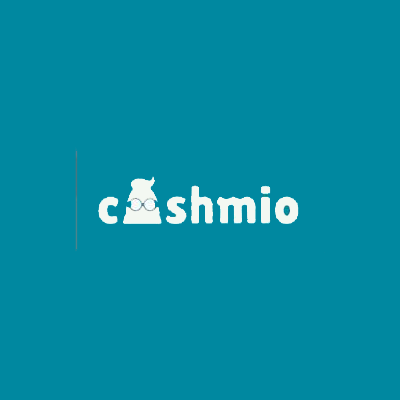 Cashmio.com management reserve the right to void any bonuses and/or winnings obtained by fraudulent behaviour. You can deposit funds with Cashmio Casino using Visa, Mastercard, Trustly, EUTeller, Neteller, Skrill, PaySafeCard, InstaDebit, P240, SSOFORTO, and EcoPayz. Deposits are virtually instantaneous and free of extra charges. Payments are made by Visa (1-3 days), Trustly (1-3 days), Neteller (0-24h), Skrill (0-24h), bank transfer (1-5 days), and EcoPayz (0-24h). There are no additional charges. A minimum deposit of €/$/£20 is required to claim the Welcome Bonus. The deposit must be done all at once, not for example 2 x €/$/£10. 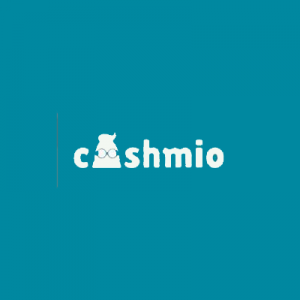 Maximum withdrawal at Cashmio: No withdrawal limits but you will be required to go through a verification process if you withdraw more than €2,300. Cashmio Casino offers a wide range of online gambling experiences, including slots, table games, games playable on smartphones, and even live games with dealers. Cashmio Casino offers many slot games playable on mobile devices using iOS or Android operating systems, such as Wild Wild West, Justice League, Lost Vegas, Tarzan, Hugo, Superman, and Jurassic World. For the traditionalists, a range of Vegas-style games is available, such as Black Jack 5 Box, Black Jack Classic, Black Jack Pro 3 Box, Caribbean Stud (several variations), Roulette and Baccarat. There are so many choices with Cashmio Casino. If you prefer more traditional live games and the feel of a real Vegas casino, rather than playing on your own, Cashmio Casino offers live, real-time games in the hands of a professional dealer. There are multiple variations on Black Jack, Roulette, and Baccarat. The advent of the Worldwide Web revolutionised the world, including the world of casinos. Whereas previously, you had to travel to your nearest casino to play, which sometimes involved lengthy round trips, you could sit at your desktop computer or laptop and gamble to your heart’s content. No need to dress up in your Sunday best, you could sit at home in your jeans and a T-shirt, your tracksuit, or maybe even your pyjamas. These days, folks hardly use desktop computers or laptops, except perhaps for work. Recreation tends to happen on mobile devices like tablets and smartphones. These devices have become so powerful and complex that you can do everything you can do on a desktop or laptop, if not more. This includes social media and online gaming. So now, you can play anywhere there is an internet connection, be that on public transport, walking along the street, in a coffee shop or restaurant, on your sofa, while you’re cooking, in bed, or even in the bath. Dress-code has shifted from formal wear to whatever you like, even naked, if that floats your rubber duck! Cashmio supports all of the main platforms, including iOS, Android or Windows. Whatever your preference for technology, Cashmio Casino is available at your fingertips. With Cashmio Casino being part of the established and respected MT Secure Trade family, you can be sure of the security of payments (both ways) and of your personal data. MT SecureTrade Limited is licensed and regulated by the Malta Gaming Authority under the licenses: MGA/CRP/257/2014 (issued on the 1st August 2018). MT SecureTrade is also licensed and regulated by the UK Gambling Commission under the license: 039575 (issued on 13 August 2015). and a facility that will enable a customer to set themselves a gambling limit or even to self-exclude. There is also a live chat facility and a set of FAQs, but sadly no phone number. Cashmio Casino is a slick, albeit relatively basic, gaming platform that is as much about fun as it is gambling. If you are a novice or a first timer, this is the casino for you. It’s easy to sign up. With just an email address and a modest deposit, you can be up and running, with a broad smile on your face, within minutes. Coming out of the MT Secure Trade stable, you can be confident that you are playing in a safe and secure environment, where your financial and personal details are of the utmost importance. Cashmio Casino calls itself “the world’s happiest casino”. If you are looking for an online casino that is enormous fun and widely entertaining, with lots of great games that let you play on your computer, tablet, or smartphone, Cashmio Casino is for you.